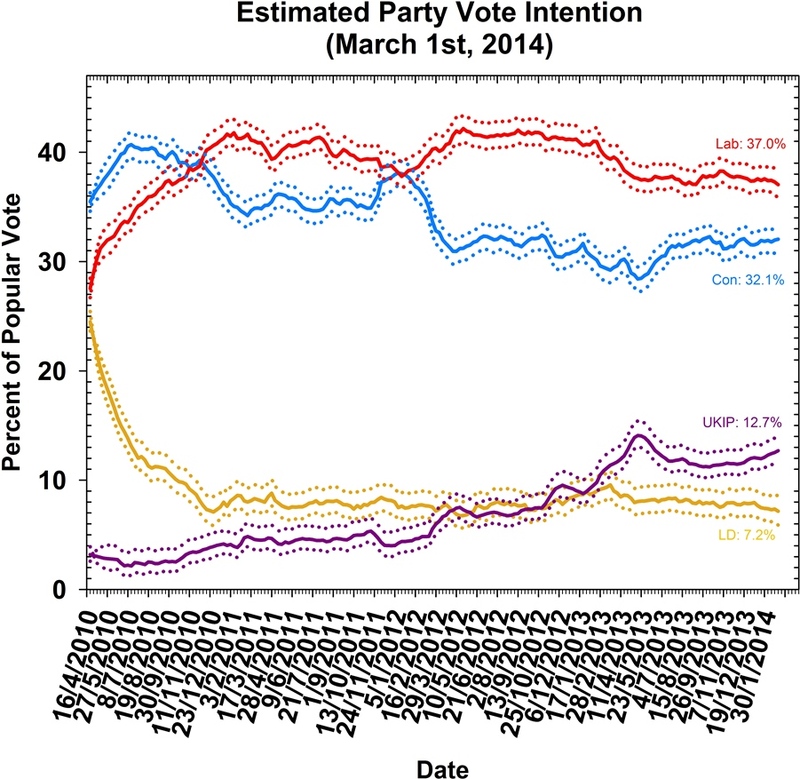 You are here: Home / Polling Observatory / Polling Observatory #34: a voteless recovery so far but still time to turn the tide? On Wednesday, George Osborne will get up to deliver what is certain to be the sunniest Budget statement of his Treasury career. All the statistical indicators now point to a robust recovery – steady growth in GDP, falls in unemployment, and rising business and consumer confidence. The cloud on the horizon for Osborne and his Conservative colleagues is that there is, as yet, little evidence that the improving economic climate is improving the government’s political fortunes. 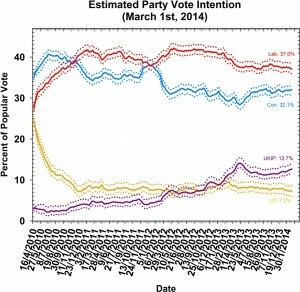 With each passing month, the lack of any meaningful movement in the polls increases anxiety about a voteless recovery in 2015, with British voters unwilling to give the government any electoral reward for the much discussed “tough decisions” of the past few years. .
Will Jennings is Professor of Politics at the University of Southampton. Mark Pickup is an Assistant Professor in the Department of Political Science at Simon Fraser University.